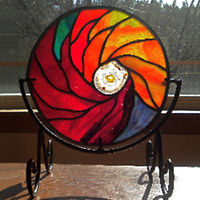 Jo Ann is a fiber artist living in Ashland, Oregon. 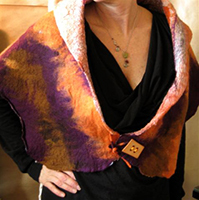 Over the years, Jo Ann has pursued her passion for fiber art by seeking new ways to utilize her knitting, weaving and felting skills to create fabric which she transforms into clothing and accessories. Jo Ann has a studio at the Ashland Art Center where she creates and teaches felting and other fiber art techniques. Prepare for the ultimate bathtime indulgence …our handmade soaps will be the most luxurious, nourishing skin-cleansing product you've experienced. Decadent fragrances delight the senses…luxurious ingredients delight the skin. Made with gentle and nourishing oils, a large helping of coconut cream & strands of exotic Tussah silk that dissolve into a heavenly lather. Once you try our sumptuous soaps, you never go back…it's Serendipity! Founder Hannah West created SOAR to drive traffic to member sites, increase online visibility for our art community and promote its members to residents and visitors. Listings are $35/year and include syndication of your blog, posting your classes, shows and events on our online calendar and press releases at our companion blog Art Matters!. We also offer reasonably priced advertising. Let us promote YOU!